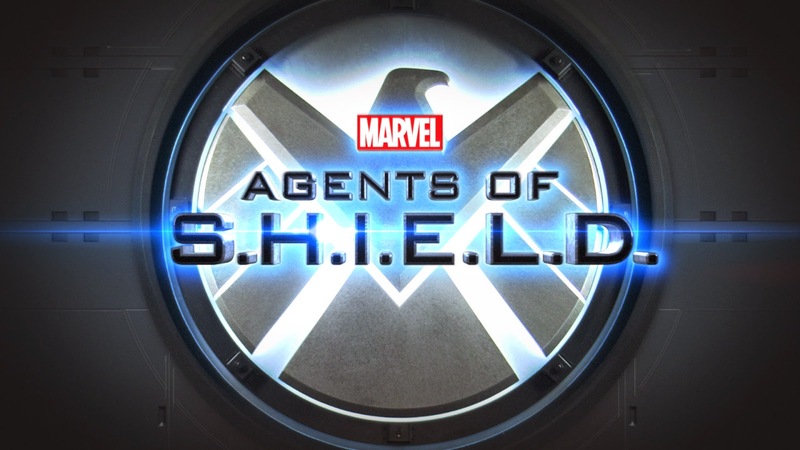 The second season premiere of Marvel's Agents of S.H.I.E.L.D. aired last Tuesday. The wait is now over as the new season begins. Season 2's first episode is entitled Shadows which may mean the organization has to "go dark" after it has been dissolved by the government after what happened in the events in Captain America: The Winter Soldier. The episode begins with a flashback in 1945. HYDRA soldiers led by a man called Reidhardt ransack their base for the artifacts they have previously found. However, Agents Peggy Carter (Hayley Atwell), Dum Dum Dugan (Neal McDonough) and Jim Morita (Kenneth Choi) of the Strategic Scientific Reserve (SSR) was able to apprehend them and secure all the items they are trying to get. Among the items is an obelisk and the other was partially shown as torso of a blue man. Back in the present time, Phil Coulson, the new Director of S.H.I.E.L.D. finds it difficult to rebuild the organization since the military is still after them with Glenn Talbot in the lead. With the stealth capability of The Bus damaged, recruiting former members of the organization proved to be hard. Isabelle Hartley (Lucy Lawless), Lance Hunter (Nick Blood), and Idaho (Wilmer Calderon) are currently working with the team in checking for people they can recruit back to the organization. They also try to get pieces of technology seized by the military so that they can continue the fight against HYDRA. They come across the information about the first 0-8-4 which was shown in the flashback. They then encounter a new super-powered person, Carl Creel (Bryan Patrick Wade), which later Grant Ward (Brent Dalton) verified to be a former S.H.I.E.L.D. prisoner set loose by John Garrett. Upon learning that there is an importance on the first 0-8-4 item, the team set an elaborate plan to get Glenn Talbot (Adrian Pasnar) to assist them with the situation by abducting him. Although unsuccessful in convincing him, they were able to find the location where the confiscated S.H.I.E.L.D. items are located. It's a race in time since Creel is also in the same place looking for the item. Hartley tried to use the obelisk if it can give her power to fight Creel but it proved her wrong as it renders her incapacitated. Her group retreats while Melinda May, Skye, and Antoine Triplett proceeded on securing a S.H.I.E.L.D. quinjet. Creel was able to get obelisk from Hartley when their vehicle crashed into him. In the base, the new mechanic Al Mackenzie (Henry Simmons) asks Coulson why they have to risk of getting the quinjet, he explained that getting the quinjet gives them a fighting chance against HYDRA. He believes that Leo Fitz (Iain De Caestecker) can no longer repair the Bus' capability for stealth because of the effects of the injuries he sustained in the previous season. It finally revealed that Jemma Simmons (Elizabeth Henstridge) that's with him is just his hallucination coping up when the real Jemma decided to leave because she believes that he will recover faster without him. On the ending scene, it is revealed that the person behind Creel is the same person Peggy Carter encountered in the past. The opening scene is quite impressive. The writers initially leaked that Peggy Carter will be guesting on the premiere episode and there was so much speculation as to how since she is on a different timeline. This also sets the stage for the upcoming television series Marvel's Agent Carter. I feel sad about Leo Fitz's condition and I was surprised to find that Jemma Simmons is just his hallucination all the time of the episode. I am also disappointed that Lucy Lawless character Hartley only lasted one episode. Overall the episode made me expect more from the upcoming episodes. I am also excited for the future cross-overs with other characters within the Marvel Cinematic Universe. This episode shows a cross-over of characters from the first Captain America movie.Hayley Atwell, Neal McDonough and Kenneth Choi reprises their roles from the movie. The appearance of Agent Peggy Carter as agent of Strategic Scientific Reserve (SSR) might reveal how Marvel's Agent Carter will be presented in 2015. Please take note that this will premier in January 2015. The flashback scene takes place around after the first Captain America movie since there are references of Johann Schmidt's (Red Skull) death. Strategic Scientific Reserve (SSR) is the organization founded after the apparent death of Captain America in the first movie. The details is shown on a Marvel One-Shot Film entitled Agent Carter. SSR is a predecessor organization before Howard Stark started creating S.H.I.E.L.D. The HYDRA officer they have arrested was called Reinhardt (Reed Diamond). This is the same man shown at the end of the episode and was called Daniel Whitehall. It can also be noticed that the character did not age a bit. The show's producer earlier told during season 2 promotion that he will be the main antagonist for the season. In the comics, Daniel Whitehall is a HYDRA assassin with codename The Kraken. This might be the character basis for this villain. Phil Coulson is now the new director of S.H.I.E.L.D. Their base of operation is in the Playground (Location Undisclosed). Have you ever wondered how the director's toolbox work since it is so small as seen in season one but contains a lot of information. New characters are introduced over this episode namely Isabelle Hartley, Lance Hunter, Idaho and Al Mackenzie - the mechanic. I guess Lucy Lawless character is only a one episode guest. I was hoping to see some Xena moves within the episode. Carl 'Crusher' Creel is based on the villain in the comics with the same power. In the comics he was able to fight against Wolverine during the Secret Wars storyline. We can expect to see him in the upcoming episodes. It seems that Lance Hunter will be a mainstay for the second season. In the comics, Lance Hunter is a member and director of Special Tactical Reserve for International Key Emergencies (S.T.R.I.K.E) which is United Kingdom's counterpart for S.H.I.E.L.D. Since the introduction of British agent like Hunter, it is hinted that Coulson made contact with possible alliances in United Kingdom as shown in his map ready to provide assistance. The blue torso confiscated in the flashback might be the same body Coulson saw the S.H.I.E.L.D. facility in season 1 episode Tahiti. The obelisk is the first 0-8-4 item according to Fury's toolbox. I believe this will be seen and referred to in the upcoming episodes. Technically, Jemma Simmons is not physically within the Playground as of this episode. She is merely hallucination of Leo Fitz due to injuries his temporal lobe has sustained from the oxygen deprivation on season 1 episode "Beginning of the End". Mike Peterson aka Deathlok is not mentioned in this episode. It's worth noting that he is currently missing after the Battle in Cybertek. I hope his character will be seen in this season. He'll be an additional advantage to the team if this happens.